A real winter warmer! 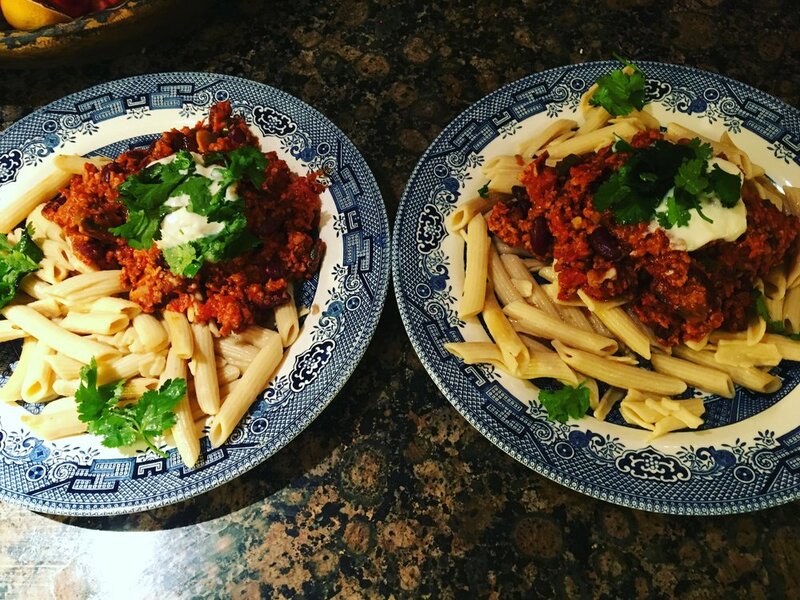 Prepare and cook exactly the same way, but using plant-based mince. I really like the Vivera range (Tesco, Sainsbury & Waitrose) or Soya mince. Winter's coming, and it’s Sunday Roast time! 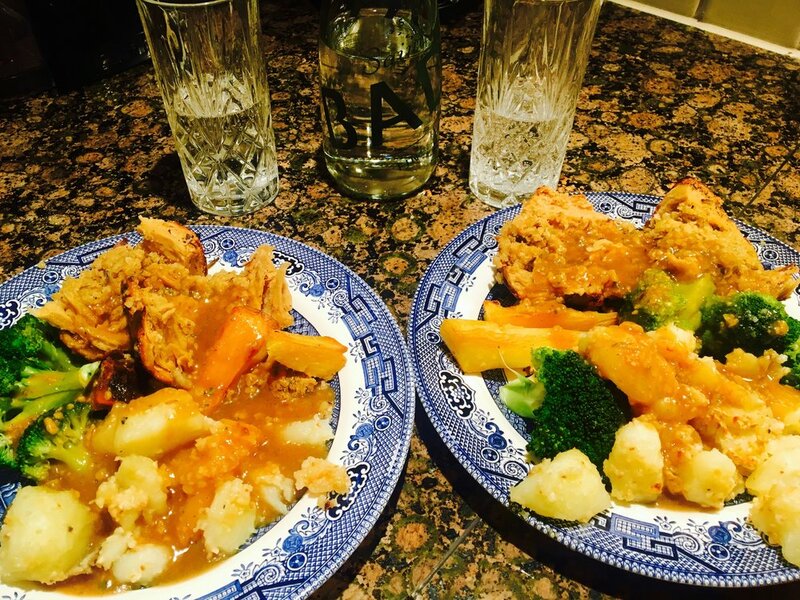 Vegan roasts are completely delicious, packed full of goodness and easy to prepare. No cooking for three hours to avoid salmonella or E-coli! Yuk! For our roasts I use the Torfurky joint, available across all supermarkets. The standard size comfortably feeds 4 people, the extra large, 6-8. Perfect for Xmas gatherings. The dogs love it, too! Another really soulful favourite which packs a spicy nutrient hit is my Indian inspired medley of tofu, chilli beans and cauliflower. Full of protein and amino acids this is a real warmer on a cold day. I part boiled some organic cauliflower and transferred into a baking dish added lots of coconut oil. I diced up some smoked tofu and added a can of organic black chilli beans. I mixed turmeric, chilli flakes, ground coriander, cumin and tandoori powder with pink Himalayan sea salt and black pepper. Set oven to 200 degrees and bake for 25 minutes. I then sprinkled grated vegan cheese, 'Vegan Gourmet Shreds' (cheddar flavour) and cooked for a further 10 minutes until melted.